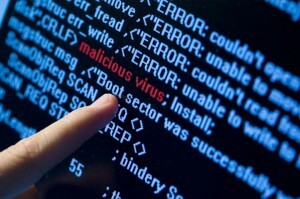 A computer virus is a program or piece of code that is loaded onto your computer without your knowledge and runs against your wishes. About 32% of computers around the world are infected with viruses and malware, according to Panda Security. Virus removal can involve a lot of work and be a lengthy process. What is involved when removing viruses? The last process to virus removal would be to run one more tool which is called Super Anti-Spyware, this is the same sort of program as Malwarebytes but can sometimes pick up on additional threats. In extreme cases the system can become completely corrupted by the virus infections and the only course of action is to complete a full factory re-install of the Operating System and re-load all software and the customer’s data.